I have to admit I didn’t know much about Deepak Chopra. I knew he was a medically trained doctor, a prominent author and speaker, rising to fame years ago when he appeared on the Oprah Winfrey show. He is often one of the public faces of “alternative medicine”. Apparently he preaches the body is made of a quantum energy and there exists a dynamic consciousness where the mind, body, and spirit are interwoven and interconnected by an energy force that transcends matter and physical reality. It is obviously a very metaphysical take on medicine. Sounds kinda like The Force from Star Wars…and he’s kinda like Yoda. The premise of “Decoding Deepak” is simple: A son spends time talking to his father, following him around the world on press tours and speaking engagements chronicling a behind the scenes glimpse of a famous man and his interactions with his fans, followers, and family. What struck me from the film was one particular scene at a retreat in Sedona Arizona where Gotham interviewed people who had come to listen to his father’s teachings. These people were in many ways overwhelmed by the persona of Deepak Chopra. Some were brought to tears just talking about him. He had “saved” them, they claimed. To these disciples this man was bigger than life- what he offered them was far more than simply an alternative medical treatment. Through him, they somehow discovered something bigger than themselves. Although Dr. Chopra spouts off deep sounding metaphysical aphorisms decorating almost every sentence he utters, in the documentary he does not come across as a man who has attained any sort of nirvana. Dr Chopra is attached to his blackberry phone, constantly scheduling speaking engagements or public appearances and energetically scheming new ways to promote himself. He seems more like a famous author than a man with unique medical or spiritual insight. Now I’m not saying that what Dr. Chopra preaches is not meaningful or important. I’m not even going to comment if I think his theories are right or wrong. I’m just saying he is clearly a man with ego and faults struggling with the normal issues of life- as we all do. This man that has been thrust upon a pedestal, that is perceived by some as an almost all knowing guru, is really just a guy. In fact he was kind of a crappy father. But he lights some deep emotional fires in the souls of some of his followers. They go crazy for him… and he ain’t no Justin Bieber. 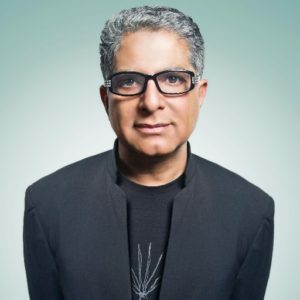 Why do some people get so emotionally charged about Deepak Chopra’s proclamations about quantum energy and the interactions of the mind, body, and spirit?- ideas with unclear health benefits. Now, I’ve never seen someone cry tears of joy over their colonoscopy or their lipid lowering medication, even if these treatments are supported by scientific evidence and may have saved their life. If you think about it, Deepak Chopra’s “alternative medicine” paradigm has nothing to do with medicine at all. His preachings, however, may contain a key component of overall health that is often missing from conventional medicine: spirituality. As scientists, whenever we examine an alternative medical treatment, naturally the first question we ask ourselves is: Does it work? In fact, in many ways we convince ourselves this is really the only question to ask. We may want to ask instead why are people using this alternative treatment? Could they be searching for more than a treatment or a potential cure? In conventional medicine we are pretty good at treating the body- we break down pathological processes into biochemical and microscopic minutia. We are even getting better are realizing that the mind interacts with the body on a more holistic level- that our stress levels, anxiety, and expectations can effect physiologic change on our bodies- the “mind-body” interaction. However, if a patient brings up the concept of a spirit, most medical professionals will stare blankly at them and point them to the chapel. It’s interesting, if you work in an ICU, spiritual issues comes up a lot. When faced straight on with tangible mortality, people, religious or atheist, naturally ask the question “is there anything else? Is there something bigger than me? When I die, am I going to an afterlife, or is this is it? Why is all this bad stuff happening to me or my family member? Is there a reason for all this?” I think as medical professionals and just as reasonable human beings, we can empathize when people ask these questions. 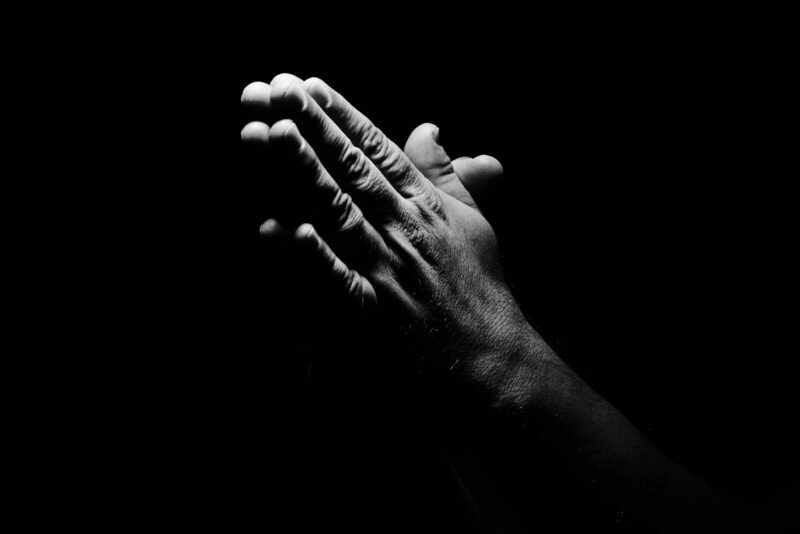 We easily understand when someone wants to pray or ask for the blessings of a higher power when faced with death. However, many in the medical community might mock that same patient if they asked those existential questions at an urgent care visit for a sprained ankle. In fact, there is a real probability your doctor is going to think you are a kook if you bring up God during your yearly pap smear. Spirituality seems to have a place in medicine at birth (“miracle of life”) and at the terminus of life, but not in it’s day to day routine interactions. Now for full disclosure, I was raised Catholic and I go to church, but I am by no means a religious zealot, so I’m not trying to sell anybody on bringing God into the clinic. However, I do think spirituality will force its way in there, whether we recognize it as such or not. I routinely ask myself why do people get so passionate about certain alternative medical ideas? Sometimes, as also happens in religion, zealots will ignore all conflicting evidence that doesn’t fit their life view and stubbornly hold onto their beliefs with nothing other than a blind faith. The most obvious group of such stubborn believers are the “anti-vaxxers.” These are the folks who are vehemently against vaccinating their kids because they believe it causes autism. Now all scientific evidence over many years and many studies has concluded that this just isn’t the case. Any evidence that once suggested a possible vaccine-autism link has been debunked. One often quoted study was even shown to be a complete fraud. Vaccines save lives, plain and simple. Vaccines don’t cause autism. Why won’t some people believe this fact? I think there are maybe a few possible explanations. Sure, some people are just dumb. They don’t really know how to critically think or analyze evidence and they blindly believe what they want to believe. The medical community is quick to place this label on the “anti-vaxxers”- (e.g. Jenny McCarthy). This is sadly an entirely plausible explanation. Another possible reason why folks are hesitant to believe strong scientific evidence is rooted in a fundamental distrust of the medical community. When you can’t analyze a medical journal, which most people cannot, you have to rely on others to analyze it for you. Medicine in the United States has not exactly been an unbiased bastion of charitable good will, currently nor throughout it’s history. If you think people are crazy for distrusting doctors, you haven’t been paying attention (see Tuskegee Syphilis Experiment). But could the reason some folks get so emotional and passionate about certain medical ideas be the result of a fundamental human instinct to try to create reason and explanation when there is a gap in the knowledge? They need to explain the yet unexplainable. Think about it for a second. Your kid has autism. I can only imagine how hard that must be- the dreams you once had for your future child are over, you mourn the loss of the theoretical child you never had and have to learn to discover a new set of dreams for the child you’ve been given. Nobody can give you a good explanation why. Scientists and doctors who have no emotional stake in you or your kid’s life can only tell you “it’s not our fault…we didn’t cause this”. They spout off theories of peripartum viruses, genetics, or brain structure issues, but no one can give you a satisfactory answer. Who do you turn to? The religious among us might turn to God- a commonality of most religions is the concept that humans simply aren’t meant to have all the answers. We face a lot of uncertainty in life and religion may help us deal with the things we can’t explain. But those who have a lack of faith need something else to turn to in those difficult times. 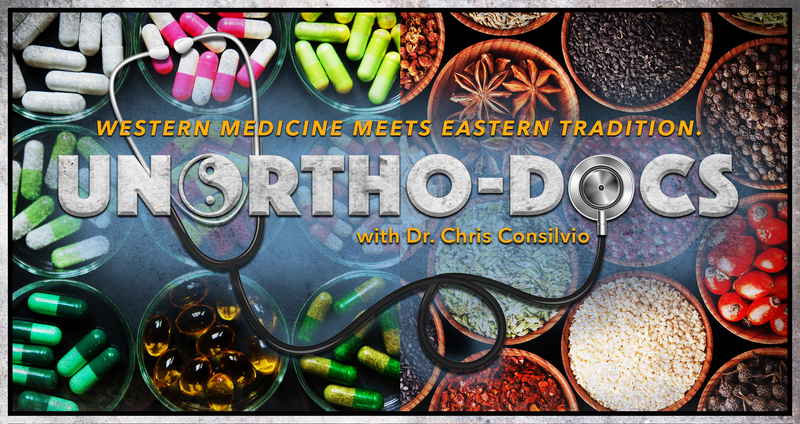 Could some alternative medicine ideas actually serve the same role as religion? I am sure the power of the anti-vaccination movement lies in it’s claim to offer an explanation. All science can offer is a denial. People, crave explanations. For some, a belief in God and a higher power may temper the distress of lacking of a clear cut biological reason of why their kid turned out autistic. Some people, however, fundamentally need a more tangible explanation for the unexpected difficult situations of life- religious enlightenment isn’t going to cut it. Is this why some people cling to vaccines as the explanation for the cause of autism in spite of all the contrary evidence? It fills the void of their uncertainty. Some of them then go out to spread the word like a medical missionary. I very much doubt the “anti-vaxxers” are evil people, intent on spreading measles and small pox around the world. Science has thus far failed in giving them a satisfactory explanation for their predicament and they have constructed a worldview that makes sense to them. Now don’t get me wrong, it doesn’t mean it’s remotely ok to tolerate the spread of dangerous false ideas, but when I hear Jenny McCarthy speak so passionately about this issue, I can’t help but see a mother struggling to cope with her underlying pain in a way that makes sense to her. This craving for reason transcends far beyond autism. When you have a medical condition that is poorly understood- chronic pain, fibromyalgia, irritable bowel syndrome or some other undiagnosable malady that doctors repeatedly tell you isn’t there, who do you turn to? When you feel terrible, and the traditional medical community has nothing to offer who do you turn to find hope? Isn’t that what it is all about? Hope for an afterlife as we lie on our deathbed, hope for a cure when we face down a terrible illness, and hope that we are more than just cells and genes that can be dissected under a microscope or analyzed in a petri dish. Deepak Chopra’s idea that we are filled with energy that flows throughout our bodies, an energy that with effort can be used to heal ourselves, is extremely appealing. When I was a kid, you can be damn sure I wanted to master the Force and be Jedi- I still do. Sure, there is no great scientific evidence of any life force energy flowing through our bodies, but I think the human condition hardwires us to believe that we, as individuals, are more than the sum of our cells. We want to believe we are connected to something bigger than ourselves. Who knows, maybe everything Dr Chopra preaches is correct? But if you are a medical professional you are missing the point if you only think about whether he is right or wrong. Even if there is no actual energy, Dr Chopra’s ideas make intuitive sense solely as a metaphor. His followers are inspired by the idea they are spiritual beings and they feel he recognizes that they are bigger than their biology. Often in the hospital we just ignore this concept. People have a need to believe they matter. They inherently want to know why illness is happening to them. As physicians we can’t answer that question. Sure we can sometimes provide a mechanistic explanation for how it is happening, but we shouldn’t be too arrogant to think we know why. There is another side to a healer, a part that can really only be termed the spiritual side- recognizing the inherent need for hope and purpose in our lives. When we provide no hope, no recognition of the spiritual side of medicine we do a disservice to our patients. I’m not saying we all need enroll in the seminary, make a pilgrimage to Mecca, or go to the library and check out a copy of the Torah, but we can’t dismiss spirituality as component of treating patients. Only when we recognize the importance of a spiritual side of health can we then have an honest fact based discussion with our patients.